A film full of warmth and sensitivity. 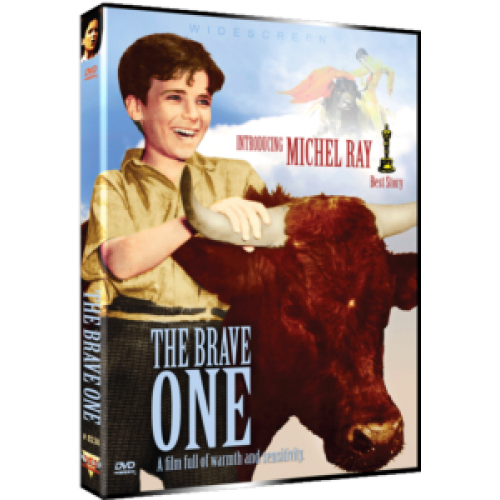 "The Brave One" is story about the friendship of a boy and a bull. Gitano — or Gypsy — is the name the boy gives the bull whose life he saves during a storm. The animal follows him around like a puppy until the legal owners spirit the mature Gitano away to do battle with top matador Fermin Rivera in the Plaza de Mexico bullring in Mexico City. 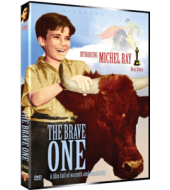 The boy protests in vain at the cruelty of the arena and finally secures a "pardon" for his pet signed by the President of Mexico but he is too late. The bullfight continues. What follows is such a display of courage that the crowd calls for the "undulto" — a demand that the bull be allowed to live. Based on a true incident, the film earned a "Best Story" Academy Award for Robert Rich - who, much to the embarrassment of the Academy turned out to be blacklisted screenwriter Dalton Trumbo.